We have never known the Halo universe at peace. Most of the games, books, and related materials cover a period from roughly 2517 to 2553, spending the bulk of that time during the year 2552. For the majority of this period, humanity, under the auspices of the United Nations Space Command or UNSC, is locked in a desperate battle against the alien Covenant. Beneath the classic humans versus hostile aliens battle is a far less obvious dynamic, a battle with a less clear-cut moral grounding. That is the war against the UNSC from within, by a scattered band of rebels dubbed the Insurrectionists or “Innies”. It was this conflict that heralded the genesis of the Spartan project, humanity’s best weapon not only against itself, but against the intergalactic threats it would be presented with soon after. For years before the arrival of the Covenant in 2525, and in the years after, the Insurrectionists were a major force and threat to the UNSC. And yet, for the pivotal role they play in humanity’s space-borne history, very little is known about them. Aside from an appearance in Halo Wars (and a possible appearance in the upcoming Halo: Reach), what we know about these rebels is confined to small cells of information and occasional appearances in expanded universe materials. Piecing together this information, then, is hard work. What were the real reasons behind the rebellion? How did it rise to prominence and then fall? Just how large was the uprising? All these are, on a book-by-book case, largely unanswered. Putting together the scraps of information gleaned from universe materials, however, a sketchy portrait of a shadowy faction begins to appear. Insurrectionists appear in The Fall of Reach (TFoR, 2001), First Strike (FS, 2003), Ghosts of Onyx (GoO, 2006), Contact Harvest (CH, 2007), The Cole Protocol (TCP, 2008), and Halo Evolutions (EVO, 2009). The main sources of information are The Cole Protocol, Contact Harvest, and The Fall of Reach. But all this information lacks a significant amount of intertextuality and context, which was fortunately provided by an official timeline kept on Xbox.com, now offline with the release of Waypoint (but mirrored in a more succinct sense on halo.xbox.com.) The timeline (via Archive.org) gives us several key dates and pieces of information. In the 22nd century, two opposed movements grew in power as overpopulation and political unrest increased on Earth. The Koslovics, named after their leader, were neo-Communists who wished for the destruction of corporate interests, including those on offworld colonies. The counter movement was that of the Friedens, fascists with roots in the Jovian Moon colonies around Jupiter. The series of conflicts that followed stretched across Earth, Mars, and the solar system saw the creation of a unified Earth government and the annihilation of the Koslovics and Friedens by 2170. The development of the Shaw-Fujikawa Translight Engine in 2291 allowed faster-than-light (FTL) star travel, enabling the new government to spread out of the solar system. By 2390, colonization of what would be termed the Inner Colonies was at full speed; there were 210 human-occupied worlds, and population burdens had been stabilized. Give another hundred years, and the number of human worlds had almost quadrupled, to 800 scattered across the Milky Way’s Orion Arm. By this point, a clear dynamic had been established: socio-economic power was centralized in the Inner Colonies, while the Outer Colonies were suppliers of raw materials. It was also during this time that the Inner world of Reach became the UNSC’s main academy and shipyard; by the time of the Halo series proper, it was the de facto centre of command. Filling in these simple facts of continued growth, however, is a seed of resentment and discord that fomented into open rebellion. The earliest indication of a problem was the Code: BANDERSNATCH order given in 2492 that authorized a literal nuclear response to a rebellion on the colony of Far Isle. Sadly, very little is known about the rationale or causes of this rebellion; BANDERSNATCH’s role is only a brief footnote in GoO (p. 183). We do not know exactly how the Outer Colonies were treated, and it is hard to decide whether the colonists were justified in wanting more autonomy, but using history as our guide we can understand where some of their animosity came from. Like colonial Africa, businesses on established colonies would benefit from the new markets on the frontier, but it would also be in their benefit to hamper development in these areas so as to make the buyers dependent on their fabricated products. While colonies had their own governors and administrators, the degree to which they were allowed to govern themselves was, by all evidence, extremely limited. The early Inner Colony settlers had been heavily screened and vetted when space travel was new and prohibitively expensive, creating a clear class gap that must have exacerbated the latent economic disparities. Since Inner Colonies had rebellions as well (Eridanus was apparently the most violent focal point), it is likely that the plight of the Outer Colonies was sympathetic enough that others joined in. Notes from the Halo Evolutions story “The Impossible Life and the Possible Death of Preston J. Cole” provide us with the most likely “turning point” in UNSC-colonial relations with the Callisto Incident of 2494. 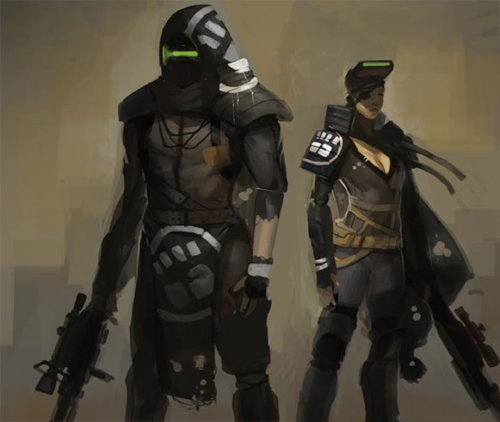 The colony of Levosia was suspected of selling FTL drive components on the black market. Fearing these drives would fall into rebel hands, the UNSC Navy blockaded the Draconis system and searched all ships in transit. At one point, during a search of a trading vessel by crew of the corvette Callisto, a weapon was drawn. In the end three officers and 27 merchants were killed, yet no illicit materials were discovered. A little more than a month later, a similar search operation resulted in the UNSC boarding party being blasted into space and the capture of the Callisto by the Insurrectionists. The Callisto managed to destroy or seriously damage three ships sent to find it; the renegade ship was only captured following a feint by Lieutenant Preston Cole (EVO, p. 430-450). This blatant and shocking attack no doubt surprised the UNSC and bolstered the legitimacy of the separatist cause. Eridanus was back in revolt within a few years. By the turn of the century the movement had gained momentum, and organized leadership in various forms. A young Avery Johnson assassinated suspected Secessionist Union leader Jerald Mulkey Ander in 2502 as part of Operation KALEIDOSCOPE on the colony of Harvest (Halo Graphic Novel, p. 122). It is unknown whether Mulkey was in fact the Union leader and if his death crippled the organization. Eleven years later, the insurrection in Eridanus was crushed during Operation TREBUCHET, forcing its leader, Col. Robert Watts, to flee into an asteroid belt. While we have little information on KALEIDOSCOPE’s duration or full objectives, TREBUCHET was a full-fledged campaign against the Insurrectionists. While Watt’s defeat was a major blow, it appeared to do little to stem growing alienation and rebellion. Ten years later, TREBUCHET was still in operation and had suffered a string of failures; an attempt to capture the Insurrectionist leaders had failed and essentially drove a stake through any hopes at a peaceful solution, while an operation by Johnson and Sergeant Nolan Byrne resulted in more than 40 deaths in Tribute’s main city of Casbah. In engagements the Insurrectionists were dogmatic and shrewd, employing a variety of tricks and clever strategies to negate the UNSC’s advantages. If all else, many were zealous enough to blow themselves up for the cause. It in the year 2525 that the Insurrection and Covenant threats intersected; UNSC freighters began disappearing over Harvest, leading the military to send Johnson and Byrne to deal with the supposed Insurrectionist activity. In fact the “Insurrectionists” were alien Kig-Yar or “Jackals”, attracted to the planet by signs of ancient Forerunner relics. Learning of first contact, the UNSC kept the meeting quiet, instead organizing Harvest militia for a possible assault by “Insurrectionists” (CH). The campaign against the Insurrectionists continued unabated, but the UNSC was now aided by augmentation of select UNSC soldiers as part of the SPARTAN-II project. The SPARTAN-II project was descended from ORION, a turn-of-the-century Naval Special Warfare program that fielded black ops teams specifically for fighting the Insurrectionists. KALEIDOSCOPE was but one operation in ORION’s combat portfolio; other operations, such as TANGLEWOOD and CHARLEMAGNE, were by all indications fairly successful–but the ORION members, such as Johnson, were still only human. “Station Jefferson in the Eridanus asteroid belt last year; our destroyer Origami; six months ago, our high-explosive manufacturing facility; followed by the incident in Micronesia, and our saboteur cell on Reach. I didn’t believe it until I saw the video. All by the same four-man team” (GoO). The passage above demonstrates that not only did the URF have a sophisticated structure and military capabilities including warships (whether Origami was self-made or captured is unknown), it also shows that the Spartans were a primary concern to the Insurrectionists, and rightly so. After all, they had been specifically created as a method of force projection to quell their rebellion. The defeats and stagnation of TREBUCHET is further evidence that conventional UNSC action was ineffective at either winning the hearts and minds of the people, or stopping them from taking up arms. In desperation, the Insurrectionists tried to create their own quick-and-dirty augmented soldiers via “rumble drugs”, with dismal results (EVO, “Midnight in the Heart of Midlothian”). The actions of Spartan Blue Team in 2531 also illuminates the growing threat of the Covenant and the complicated dynamic it created in regard to the Insurrectionist war. The rebels would have been in a prime position to deal crippling blows to the UNSC, but the fact was that their time was limited. By the time Admiral Cole finished off the Covenant over Harvest and arrived back on Earth, several Outer Colonies had already fallen. A pattern of attack and retreat followed, with Cole’s forces heavily outmatched. By 2535, the Outer Colonies were all but obliterated. Little is heard of the Insurrectionists afterwards—though the time frame of The Cole Protocol is imprecise, it can be believed that the Insurrectionist/sympathizer stronghold called The Rubble was destroyed around this time; Spartan Gray Team was too distant to be recalled in August 2552 (TFoR, p. 222). SPARTAN-IIIs participated in action that put down a rebellion on the colony of Mamore, and by 2537, a rear admiral reported that “[The UNSC] is just getting a handle on the near-civil war” (GoO). The last chronological appearance of Insurrectionists appears during First Strike, as Spartan 117 and company turn to Giles and the Eridanus Rebels to repair their damaged ship on September 12, 2552. Faced with a superior Covenant fleet, Vice Admiral Whitcomb abandoned the rebels to report back to Earth; it is likely that Giles and the majority of the rebels were killed in the aftermath. Gaps in Halo’s history leave us with sketchy information on the final fate of the Insurrection. Dialogue from Whitcomb (FS, p. 252) suggests that by the time the 2552 generation of soldiers were fighting the Covenant, the Insurrection was finished. This isn’t surprising, considering that Eridanus, long the focal point for the Insurrection, was glassed by the Covenant in 2530 (FS p. 240), and most of the other sympathetic colonies were obliterated within a few years. The apparent evidence is that the obliteration of human strongholds forced the remaining Insurrectionists to surrender and face the larger Covenant threat, although context in First Strike also suggests that Insurrectionist piracy was still an issue. In fact, the establishment of Cole Protocol following the invasion of the Inner Colonies in 2536 suggests the possibility that the destruction of the Outer Colonies may have been engineered, at least in part. Given the rapid destruction of human colonies, holding off implementation of the Cole Protocol until the Outer Colonies were destroyed would have spared the more staunch pro-UNSC colonies and wiped out the majority of Insurrectionist activity, as well as proving the Covenant the superior threat; further Insurrectionist operations may have triggered a public backlash in the face of alien aggression. We know that the UNSC Office of Naval Intelligence has often resorted to propaganda and deception to further its goals: would they see the deliberate sacrifice of anti-UNSC elements and whole worlds a worthy trade-off? One apparent result of the war against the Insurrectionists, as evidenced by the Evolutions story “Dirt”, is that many of the colonial powers (such as the militia), were centralized into the UNSC. As the UNSC exercises considerably more power than its civilian counterpart from what is seen in the Halo universe (#), it is also possible that the Insurrection led to a more military-dominated society. Many questions remain in the Halo continuity. Information on what came of operations like TREBUCHET and the decline of the Insurrectionists in the 2530s is non-existent. While it appears that during the period the UNSC came to dominate over a civilian authority, the exact power structure and changes during the Insurrection are never explained. Furthermore, the end of the Human-Covenant war in 2553 opens up significant possibilities that the Insurrectionist movement might begin anew. After all, strange alliances are forged in times of crisis… but would the UNSC hold after the greatest threat is gone? Excellent article! Summed up a lot of good information on the Insurrectionists, and was a pleasure to read (even if I knew most of it). One thing of note however; in the Cole Protcol, the then Lieutenant Keyes implies that the Insurrection was given a killing blow when the cole protocol was iniated, because it closely regulated all human trade and made it nearly impossible for rebels to communicate, transfer arms, or conduct operations. This could be noted as being one of the causes of the decline of the Insurrection. Not only that, it brings up an interesting contradiction of your ONI conspiracy theory; if it would deal decisive damage to the Insurrection, why hold off on it until the colonies are destroyed? Why not wipe out the Innies and save a substantial portion of the human population (perhaps trillions, and certainly billions, according to Ghosts of Onyx), rather than wipe it out but sustain population losses? Nevertheless, excellently done. You’ve done a fantastic job compiling the assorted information on the Insurrection and I look forward to your future work. A good point that I had not considered. Either way, however, enacting Cole Protocol could have been a grab for additional powers, to combat the insurrection or else, under the guise of protection from the Covenant. While we don’t know much about governance, it may have been that such measure had been rejected before the Covenant threat. Perhaps, but Admiral Cole indicates in Halo Wars: Genesis that though the protocol could take years to become formalized law, it was already SOP any units under his command. And since he was apparently in command of the vast majority of the human space forces until at least 2535–if not later to his death–it does not seem very likely that it was delayed to combat the insurrection or even concieved with it in mind.